The ethical behaviour of mankind depends on the social behaviour of neuronal populations. In our brain the ethical projects of the whole mankind are written, and it is necessary to understand them in order to better support the ethical nature of Man. Brain functions arise from the activity of the central nervous system (CNS). The brain cortex constitutes the seat of the most evolved faculties of our species. The point of departure of the brain functions is the neuron, which is subject to excitatory and inhibitory inputs from other neurons, so that the messages to be transmitted could always maintain a certain amount of general equilibrium. 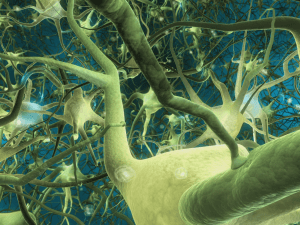 Neurons organize their activity within a population of neurons. Each neuron receives and sends impulses depending on its own connections within the population, and when the density of those connections exceeds a precise threshold neurons start to spontaneously interact with each other (that is exactly the case when we speak of populations of neurons). The threshold that determines the change of state depends on the relationship between sent and received impulses. In other words, if the messages that a population of neurons receives are about 10 and those that it sends out to other populations are more or less the same, that neuronal population is acting autonomously, that is to say: without additional external impulses. The neuronal population under observation is then in state of equilibrium. That situation (background activity) is named “point-attractor”, and it represents the status the neuronal population tends to return to after a disturbance (Freeman W.J., 1999). In other words, individual neurons form a macroscopic entity, within which each element is largely autonomous, but permanently involved into the macroscopic activity that tends to pursue a constant state of equilibrium between received and sent inputs. Brain activity is given by the status variations of point-attractors, which determine the cognitive processes, through the limit cycle attractors (Freeman W.J., ibidem). The latter correspond to those situations where point-attractors are ignored (that is, they are in a state of apparent silence) and a learning process takes place. When the relationship between the state of departure (point attractor) and the state of activity (limit cycle attractors) exceeds a given threshold, the system can not longer get back, and is bound to find a new stability value. Still referring to the above example, if the received messages are 20, while those sent out remain 10, that neuronal population must adapt to a new equilibrium, trying to send out 10 further messages. In that case, by adding the initial and final total of 20 posts (10 incoming and 10 outgoing, to fit) we obtain a learning, that is a new piece of knowledge. The result is the creation of a spatial configuration of amplitude modulation (or AM configuration) (Freeman W.J., idem). All neurons, in any area of the cortex, are involved in the formation of AM configurations, which vary depending on learning. The main feature of the Am configurations is that they modify over time, because they are determined by the variability encountered in the neuronal activity. This is an AM configuration variability which makes them unique and special for each single individual, since they are determined by each synaptic variation (a synapse is where neuronal connections occur), and consequently they result related to the personal experience of each individual. Practically we are facing a neurologic social activity, a real process of generalization at the synaptic level, which is actually based on a relationship that we could define as “economic”. The term economy comes from Greek eco nomos, that is the rules of the environment or environmental standards. AM configurations are metaphorically similar to the economic relations that humans (and cultures) establish among themselves, and the difference of economic modulation (incoming and out coming messages about production, value, commodities, etc., of any market) establishes the formation of a shared economic mind. This concrete sharing of the market rules actually convey the formation of a corresponding attitude, one might suppose that the change of some specific characteristics represented by this mindset can convey the development of further economic ideas placeable but in time, that is: being subject to a constant relationship between past and future. Actually, the importance of those configurations is in the fact that they are behind the construction of meaning, which does not stem directly from the outside world, because our brain employs prior information to construct meaning. The brain does not receive direct transcriptions of the surrounding world, but it creates in it an image that depends on its personal history. We are approaching the heart of the problem, namely the construction of neuro-cognitive ethical meanings, starting from understanding how those actions -which allow individual to get in relationship with the world- are originated, according to the necessary economic expression. The construction of an ethical and economic sense is through the formation of intentionality. It is a process that allows men (and other animals) to act in relation to a future goal. Actions that characterize our daily lives emerge along a sequence that can be divided into three stages. At a first stage, in the brain targets towards which to direct actions emerge. In the second stage, meaning is constructed after sensorially receiving the consequences of their actions. Finally, in the third stage, learning topologically modifies configurations of neural networks in the brain. The combination of these three stages is accompanied by various dynamic processes that prepare the body for action, and what is perceived of the preparedness to it – are the emotions. All intentional acts are emotional, and arise from self-organization of neural activity, thanks to the limbic system, where emotionally relevant AM configurations are highlighted. Every human being is aware of its meaning through awareness and consciousness. Awareness is a neurologically processed experience that occurs in our brain. Consciousness is the process that allows the succession of states of consciousness to become meaningful for the individual. How are experience and consciousness related in the brain, and therefore in thought processes? With the invention of causality, by which the brain puts a precedent (cause) in relation with a consequent (effect). This is an explanation obtained, prepared or identified in statistical terms, because we are trying to figure out how many possibilities there are that an action (in particular of an economic character, therefore necessarily also ethical) determine a particular outcome. The subjective experience, which is attributable to the deliberate actions, is seen as a chain of linear causality. Our intention to act is the cause of what will occur. This allows individuals to explain the dynamics of social interactions, also in reference to ethically and economically relevant conducts. Our ethical and economic choices will, therefore, depend on how the brain will alter its AM configurations, so that we can suggest probable actions able to achieve a cognitive balance between the safety of staying alive and the desire for freedom. The solution between these two cultural opposites is the search for greater justice in the best time, able to balance the perturbed configurations of new collected data. In this way the human ethical behaviour is presented as the result of a probabilistic calculation that goes from the particular to the general, using a learning path that links the need to maintain life as an individual and remain useful as a culture. So personal meanings, which are also cultural because ethical and economic as well, are formed, even during the most important cognitive activity, the adaptive. It is therefore the action that originates the thought, that is knowledge, because knowledge itself is evolutionary, ie, speaking in a Popperian sense, it exercises and is a constant scrutiny of mental processing in an environment (the economy). These premises, placed within an anthropological view, pose the question of the art of living (the most fair in the best time for adjustment), as the foundation of ethics as much as of economy, and therefore a generalized well-being linked to the quality of life. The critical question then becomes: What common purpose is judged as a good to be pursued? That is why the ethical issue has now become a cognitive-economic matter and should be interpreted with reference to brain function, rather than just to the traditional philosophical views. Face of everything that surrounds us, our brain operates frequent attribution of meaning, thanks to which the causes and reasons of what happens to us are explained. As we have said, the causality, which is a configuration of AM in the brain (rather than in the events), is manifested by the simultaneous expression of two streams of activity: that of the neuron that affects people we belong to, and that of the population on the single neuron – just as it happens in society, where the individual affects the global and the global affects the individual. The micro-macro constraint limits the freedom of the factors preventing the individual activity from determining actions independently of the others’ intervention. The role of awareness is to act as a vehicle for achieving the global order, integrating together the activities arising from the various components. Consciousness is part of this mechanism with the function of creating a sequence of global and vital states of consciousness. It is therefore the consciousness that directs the chaotic activity, even economically important, toward a global order, promoting the assimilation of data from the world through the use of reason, understood as configurations of continuous AM. The expulsion of the configurations of local activities, compared to the global order parameter (ie the detachment of a population of neurons from the integration with the remaining populations of neurons), determines the actions which we interpret to be reckless, careless or unconscious. Similarly happens when a social group of individuals in its knowledge of the world (think of those who exercise violence in football stadiums), deviates from the global knowledge (that related to the peaceful values present in sport) in which the group is still immersed. The task of consciousness, therefore, is not to lead or rule reason, but to standardize the chaotic fluctuations towards a single global parameter. The global order allows assimilation to the world, while in relation to it the individual prepares goals and motivations. Our actions are seen by others, but also from ourselves, as a means to achieve an end, or as the expression of personal meanings, ethical and economical as well. Consciousness enables the body to perceive the world and act rationally within it. In other words, the nervous system creates a pattern of activity that allows the representation of the world and the action that follows, and the meaning emerges from AM. Each learning changes this situation, which arises from the world in terms of awareness and consciousness, creating a natural propensity for the right and probably better for the adaptation of the individual and the group, which we define as ethics in the global cultural perspective. In a neuro-cognitive perspective, ethics is the final result of shared mental attitudes. Humans, in any place and space, develop attitudes. Human existence, as we just said, is characterized by the action, understood as the execution of tasks and their design (Rizzolatti G., C. Senigaglia, 2006). The ability to act in humans develops an awareness of what has been done and induces the formation of a mental attitude that we will define as the project activity (M. Tomasello, 2005). This ability, or the ability to be aware of the situation in which one is to identify the goals towards which one should address (cultural extension of the potential of mirror neurons), is crucial for the development of any culture and is at the basis of the third millennium ethics, which we define vital, global and economic ethics. Here’s why attitudes are considered as real mental operations, which are expressed in the first instance in the form of mental images. All representations created in the mind modify neuronal configurations, and are in their turn modified by them. This type of bond is expressed in the subjectivity of individual perception. As mentioned above, each configuration is established on the former, and, in turn, functions as a basis for the next. The consequence is that each brain produces different configurations, unrepeatable in other individuals, being related to their own and personal relationship with the environment. It is evident that the environment is not the bearer of meanings, but of stimulations that the individual includes within their own life experience. The individual does not see the world as it is, but in the way the brain represents it, and the meaning derives from the interaction of this vision with personal experience. Every living creature lives surrounded by their own needs and the drive to satisfy them, but the presence of others in the world leads us to limit the survival to the possibility of escaping from predators, to win the competition for food and reproduction in solidarity. It is therefore necessary to establish a contact with other individuals, and consequently the ability to communicate what the brain produces, according to a draft ethically significant, because, obviously, economically binding, is needed. Andrews F., Szalai A., (edited by), 1980, Quality of Life: Comparative Studies, Sage Editions, London. Allardt E., 1981, Experiences from the Comparative Scandinavian Study, with a Bibliography of the Project, in European Journal of Political Research, 9:101-111. Andrews F.M., Withey S., 1976, Social Indicators of Well-being. American Perceptions of Life-quality, Plenum Press, New York. Allport F.H., 1955, Theories of Perception and the Concept of Structure: a Review and Critical Analysis with an Introduction to a Dynamic-Structural Theory of Behaviour, J. Willey Editions, New York. Barry B., 1965, Political Argument, Routledge & Kegan Paul Editions, London. Belk R.W., 1985, Materialism: Trait Aspects of Living in the Material World, in Journal of Consumer Research, 12:265-280. Boas F., 1998, Antropologia e vita moderna, Editori Riuniti, Milano. Bruner J., 1992, La ricerca del significato. Per una psicologia culturale, Boringhieri Edizioni, Torino. Campbell A., 1981, The Sense of Well-being in America, McGraw Hill, New York. Drever J., 1974, Proceedings and papers: Twelfth International Congress of psychology held at the University of Edinburgh, Nendeln Kraus Reprint, Edinburg-London. Easterlin R.A., 1996, Does Satisfying Material Needs Increase Human Happiness?, in Easterlin R.A., 1996, Growth Triumphant: The Twenty-First Century in Historical Perspective, University of Michigan Press, Ann Arbor. Easterlin R.A., 1995, Will Raising the Incomes of All Increase the Happiness of All?, in Journal of Economic Behavior and Organization, 27:35-47. Frank R.H., 1999, Luxury Fever. Why Money Fails to Satisfy in an Era of Excess, The Free Press, New York. Frank R.H., 1997, The frame of reference as a public good, in Economic Journal, 107:1832-1847. Freeman W. J. e Schneider W., 1982, Changes in spatial patterns of rabbit olfactory EEG with conditioning to odors, in Psychophysiology, XIX, pag. 45-56. Freeman W. J., 1979, Nonlinear gain mediating cortical stimulus-response relation, in Biological Cybernetics, XXXIII, pag. 237-247. Freeman W. J., 1999, How brain make up their Minds, trad. it. 2000, Come pensa il cervello, Einaudi Editore, Torino. Frey B.S., Stutzer A., 2002, What Can Economists Learn from Happiness Research?, in Journal of Economic Literature, 40:402-435. Foot P., 2001, Natural Goodness, Clarendon Press, Oxford, trad. it. 2007, La natura del bene, Il Mulino Editore, Bologna. Galbraith J.K., 1969, The Affluent Society, Hamilton Editions, London. Galtung J., Wirak A., 1976, Human need, Human Rights and the Theories of Development, in Unesco, Applicabilty of Social Indicators to National Planning in Thailand, Bangkok. Gleick J., 1988, Chaos: Making a New Science, Sphere Books, London. Gough J., 1982, Goals, Processes and Indicators of Food, Wealth and Energy Development, in International Meeting; The Quality of Life and Communication in Metropolitan Societies “, Fondazione Angelo Rizzoli, Palazzo Grassi, Venezia, 4-6 febbraio. Heller A., 1974, La teoria dei bisogni in Marx, Feltrinelli Editore, Milano. Heller A., 1975, Sociologia della vita quotidiana, Editori Riuniti, Roma. Heller A., 1982, The New Needs and the Quality of Life, in International Meeting: The Quality of Life and Communication in Metropolitan Societies, Fondazione Angelo Rizzoli Editore, Palazzo Grassi, Venezia, 4-6 febbraio. Inglehart R., 1977, The Silent Revolution, Princeton University Press, Princeton, trad. it. 1983, La rivoluzione silenziosa, Rizzoli Editore, Milano. Lorenz E.N., 1995, The Essence of Chaos, Paperback Editions, London. Maslow A., 1977, Motivazione e personalità, Armando Editore, Roma. Martinotti G. et Al., 1988, Milano ore 7: come vivono i milanesi, Maggioli Editore, Rimini. Martinotti G., 1993, Metropoli, Il Mulino Editore, Bologna. Melucci A., 1982, L’invenzione del presente. Movimenti, identità, bisogni individuali, Il Mulino Editore, Bologna. 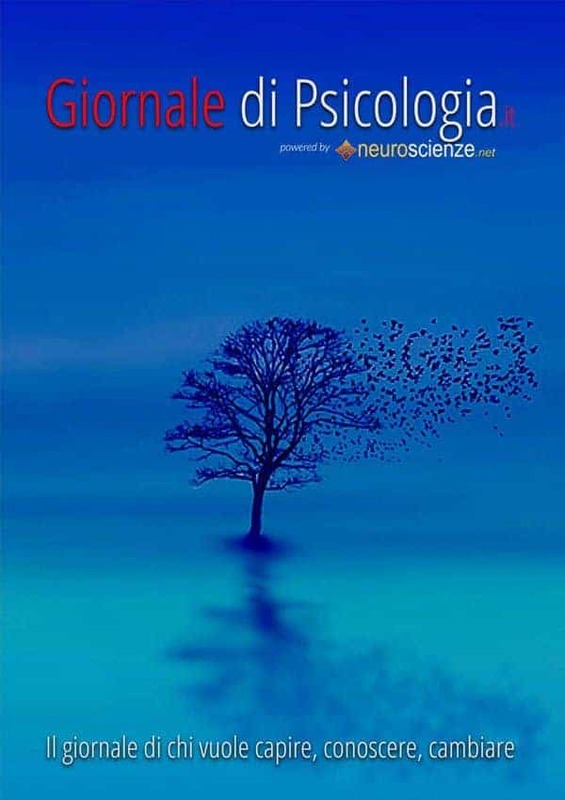 Musio G., 2007, All’origine della struttura della mente, (in stampa), Firenze University Press, Firenze. Ng Y.K., 1997, A Case for Happiness, Cardinalism, and Interpersonal Comparability, in Economic Journal, 107:1848-58. Nussbaum M., & Sen A., 1983, The Quality of Life, Clarendon Press, Oxford. Nuvolati G., 1993, Qualità della vita. Definizione, prospettive di analisi e indicatori sociali, in Sociologia urbana e rurale, anno XV, 41:99-121. Oswald A.J., 1997, Happiness and Economic Performance, in Economic Journal, 107:1815-1831. Poot G., 2004, Happiness in the Garden of Epicure, in Journal of Happiness Studies, Special on Happiness Advice, vol. 4. Popper K.R., 1994, Alles Leben ist Problemlosen. Uber Erkenntnis, Geschochte und Politik, Piper GmbH & Co., Munchen, trad. it. 2001, Tutta la vita è risolvere problemi. Scritti sulla conoscenza, la storia e la politica, Bompiani Editore, Milano. Popper K.R., Eccles J.C., 1977, The Self and Its Brain. An Argument for Interactionism, Springer-Verlag, Berlin-London, trad. it., 1981, L’Io e il suo cervello. Dialoghi aperti tra Popper ed Eccles, Vol. 1-2-3, Armando Editore Roma. Popper K.R., Lorenz K., 1985, Die Zukunft ist offen das Altenberger Gespräch mit den texten des wiener Popper-Symposiums, R. Piper GmbH & Co KG., München, trad. it., 2002, Il futuro è aperto. Il colloquio di Altenberg insieme con i testi del Simposio viennese su Popper, Bompiani Editore, Bologna. Rizzolatti G., Sinigaglia C., 2006, So quel che fai. Il cervello che agisce e i neuroni a specchio, Raffaello Cortina Editore, Milano. Sationover J., 2001, The quantum brain: the search for freedom and the next generation of man, Wiley, New York, trad. it. 2002, Il cervello quantico, Macroedizioni, Cesena. Schifini D’Andrea S., 1988, Livello e qualità della vita, Dipartimento di Statistica, Università degli Studi di Firenze, Firenze. Schroeder Manfred, 1991, Fractals, chaos, power laws : minutes from an infinite paradise, Freeman Editions, New York. Sen A., 1993, Capability and Well-Being, in Nussbaum M., Sen A., (a cura di), The Quality of Life, Clarendon Press, Oxford. Sen A., 1987, The Standard of Living, Cambridge University Press, Cambridge. Schopenhauer A., 2004, I manoscritti berlinesi, 1818-1830, Adelphi Editore, Milano. Schopenhauer A., 2003, Il mondo come volontà e rappresentazione, Mondadori Editori, Milano. Sirgy M.J., 1998, Materialism and Quality of Life, in Social Indicators Research, 43:227-260. Spanò A., 1989, Benessere e felicità nella prospettiva della teoria della qualità della vita, in La Critica Sociologica, 90-91:69-120. Steward J.H., 1955, Theory of Culture Change, The Methodology of Multilinear Evolution, University of Illinois Press-Urbana, Illinois, trad. it., 1977, Teoria del mutamento culturale. La metodologia dell’evoluzione multilineare, Boringhieri Edizioni, Torino. Tocqueville A. de, 1996, Vita attraverso le lettere, (a cura di) Nicola Matteucci, Il Mulino Editore, Bologna. Tocqueville A. de, 1835-1840, La démocratie en Amerique, trad. it., 1969, La democrazia in America, UTET, Torino. Tocqueville A. de, 1831-1832 Prima Ed., 1990, Viaggio in America, (edited by) Umberto Coldagelli, Feltrinelli Editore, Milano. Tomasello M., 2005, Le origini culturali della cognizione umana, Il Mulino Editore, Bologna. Veenhoven R., 1994, Is Happiness a Trait? Tests of the Theory that a Better Society Does not Make People Any Happier, in Social Indicators Research, 32:101-160. Vergati S., 1989, Dimensioni sociali e territoriali della qualità della vita, Euroma Edizioni, Roma. Vygotskij L.S., 1990, Pensiero e linguaggio, Laterza Editore, Roma-Bari. Zapf W., 1984, Individuelle Wohlfahrt: Lebensbedingungen und Wahrgenommene Lebensqualität, in Glatzer W., Zapf W., (a cura di), Lebensqualität in der Bundesrepublik, Campus Editions, Frankfurt a.M-New York.